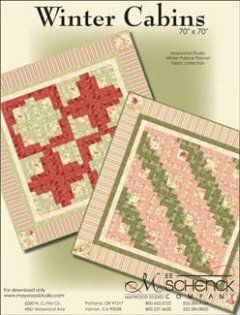 Free log cabin quilt patterns for you to download and use to create your next quilt. 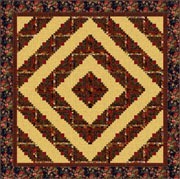 The log cabin design has always been popular among quilters. This is probably due to there being a never ending variation to them. 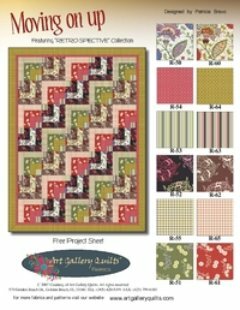 It is this variation that has captured quilters and almost entices them to explore the variations. 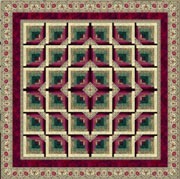 Some quilt tops using this design are quite traditional and the entire top is created out of the design. 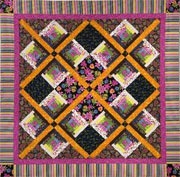 Others incorporate the design in their borders or use it as part of their quilt top. The log cabin block when first created always had a red block as its center representing the hearth. 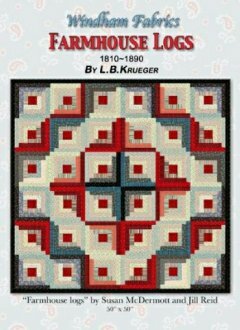 These days you often see quilts without this red block in center. With the invention of the rotary cutter the ability to obtain perfect piecing with the log cabin block is easy. 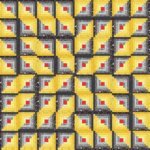 No more wonky blocks! 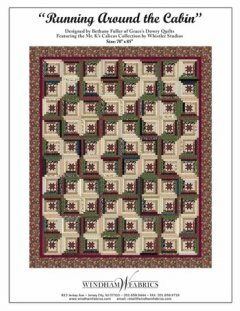 My favorite method of creating any log cabin block is using Marti Michell's log cabin rulers. For instructions on making a block go to log cabin instructions. Pattern courtesy of RJR Fabrics. 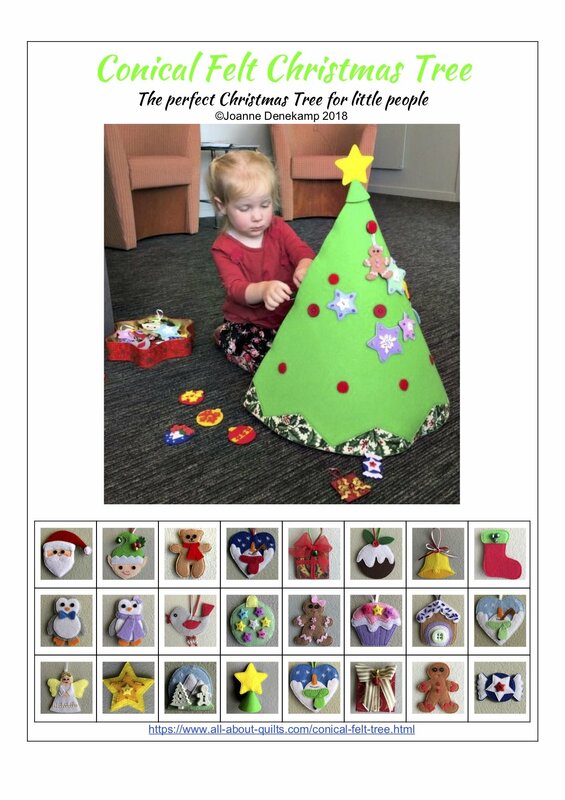 Express Yourself Quilt Pattern. Pattern courtesy of RJR Fabrics. 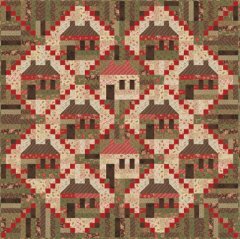 Log Cabin Fever Quilt Pattern. Pattern courtesy of RJR Fabrics. 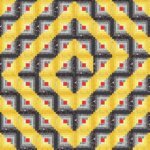 Monticello Quilt Pattern. Pattern courtesy of Anthology Fabrics. 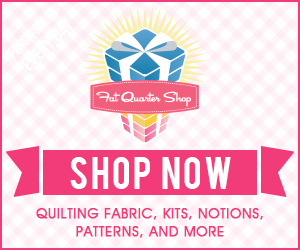 Inside Out Quilt Pattern. Pattern courtesy of Art Gallery. 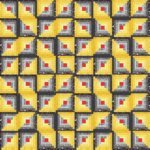 Dream of a Garden Quilt Pattern. Pattern courtesy of Benartex. 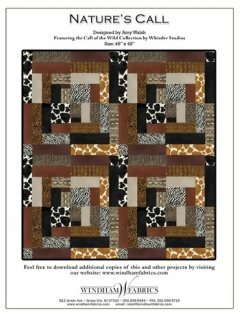 Montana Log Cabin Quilt Pattern. Pattern courtesy of Andover Fabrics. 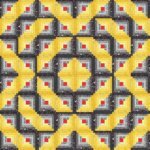 Grandmas House Quilt Pattern. Pattern courtesy of Windham Fabrics. Running Around The Cabin Quilt Pattern. Pattern courtesy of Maywood Studio. 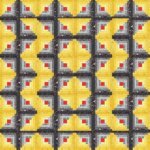 Winter Cabins Quilt Pattern. Pattern courtesy of Anthology Fabrics. Inside Out Quilt Pattern. Pattern courtesy of Tina Givens. Tina Givens Quilt Pattern. Pattern courtesy of Windham Fabrics. 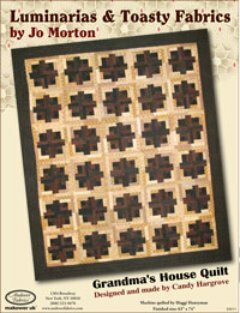 Farmhouse Logs Quilt Pattern. Pattern courtesy of Moda. 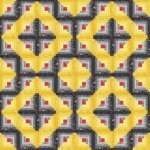 Grace Quilt Pattern. 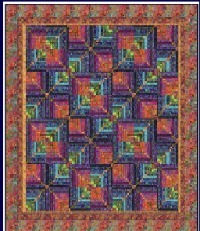 Pattern courtesy of Art Gallery Quilts. Moving On Up Quilt Pattern. Pattern courtesy of Windham Fabrics. 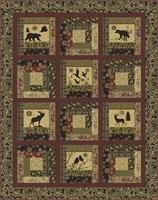 Natures Call Quilt Pattern. 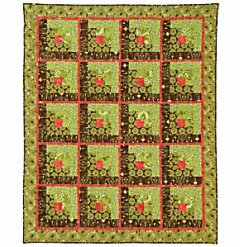 Log cabins are a great design to use your scrap fabric in. 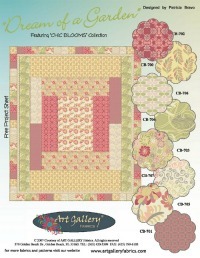 With scrap quilts you don't have to include every fabric style or color in each block. One key feature that makes the log cabin design work is fabric value. Half of each block needs to be darker than the other. Take another look at the patterns above to see this. When you have made your log cabin blocks then arranging them on your design wall is a lot of fun. There are so many variations to choose from. Below are a few variations to show you how versatile the log cabin is.